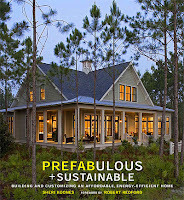 EcoUrban: Building Sustainable Solutions: What's Next: Middle Class Green or Small Homes? What's Next: Middle Class Green or Small Homes? 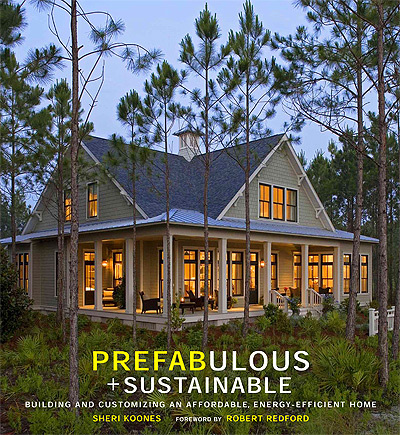 Check out the link below that discusses some real world green prefab buyers from "Prefabulous + Sustainable" by Sheri Koones...a book EcoUrban was featured in from 2010 - with a pretty snazzy forward by none other than, Mr. Robert Redford. I read the USA Today article, and had to wonder: Is EcoUrban just building green for the middle class? To date, all of the homes built by EcoUrban have sold for under $180,000 (which doesn't exactly leave much room for profit margin on our 1600 square foot homes) and recently we partnered up with some local community development organizations to build 8 homes with a $96,250 mortgage after a ton of subsidy from HUD and a local housing trust fund. We spend a lot of time & effort pushing for affordable new construction green as something that everyone can own, but the fact is that without subsidy we've got a non-sustainable business model. How do we compete? I've learned that to walk-away from new construction projects with the hybrid modular/site work model we've developed with a 15% profit - that we need to sell the final product with land for $140 per square foot - or $225,000 for a 1,500 square foot home. Sadly, this number just isn't supported in our region with so much affordable historic homes and distressed properties. On the other hand, show this number to someone in California and I tend to think these homes would be flying off the shelf. So, what gives? Maybe we just need to educate consumers more that new construction, energy-efficient intelligently designed 1,500 square foot homes for $225,000 is a freakin' great deal! Sure you can buy a historic shell for $2,000 and spend $150,000 (if you can find a 203K lender in the mood) re-creating a home in some of our amazing historic neighborhoods - it has been done and continues. Seriously though, why spend over a year banging your head against the wall to live with uninsulated brick walls (or losing space to furred-out insulated walls) if the sustainable new construction option is within reach and takes less than 4 months? I just don't see how EcoUrban's model can compete if buyers are willing to accept inefficient charm over sustainable efficiency...moving on! So, if I can beat 'em at the historic vs. new homes game what about creating a new market? I've been obsessed the with idea of pushing our buyers to accept smaller footprint homes - something that national trends toward smaller homes just don't seem to support yet. It seems buyers with limited budgets still want all the features - so, perhaps the opportunity is there. I've always wanted to explore EcoUrban getting into the backyard cottage or ADU (Accessory Dwelling Unit) market, but wasn't sure there would be a customer base. Can you imagine EcoUrban developing something similiar to the following as a solution to that constant challenge for extra square footage, home office, or an easy rental addition? If I could develop a model that puts a 576 square foot rental unit on top of a 2-car garage for $75,000 - is there a business?